How to carry a library of kids' books on your device? With these apps! If you are going on a trip or have an avid reader, downloading a library app is a great way to have access to hundreds of books. With these apps, your kids will never be without a good book to read (or have read to them). With consummate storyteller LeVar Burton at its helm, this library app presents exciting stories with professional narration. 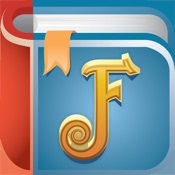 A library app with over 200 books and fun categories for sorting and finding new books. A collection of static books that read aloud to your child. 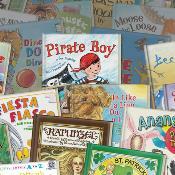 The collection is curated by a children's librarian and suggestions are made based on books previously selected. Families who are separated by physical distance can use this free app to bond over sharing a book or playing a game shown on a shared screen during an in-app video conference.